Too Blooming Early- The 2012 National Cherry Blossom Festival In Washington D.C.
As it happily turned out, instead of being at home on the Eastern Shore of Virginia at 4 pm on March 17th, thinking about getting ready for an excellent St. Paddy Day dinner at Kelly’s Gingernut Pub in Cape Charles, I was instead walking through the magnificent grounds of the Washington Monument in Washington D.C., surrounded by incredible beautiful blooming cherry trees. A postponement of a visit by a client left me with a few unscheduled days available and it took us all of 30 seconds to decide what to do with them. 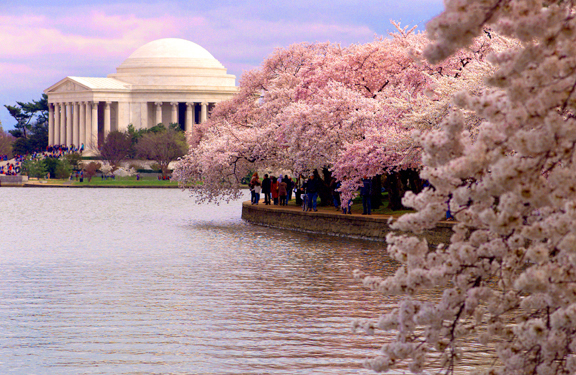 Ever since our youthful days lived in the Washington metro area, about a thousand years ago, my husband and I have always loved Spring there and the amazing cherry blossoms. 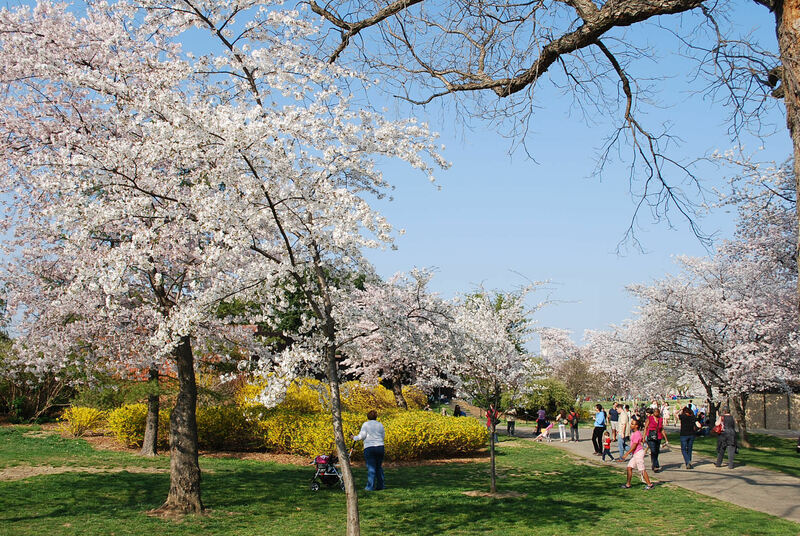 Earlier in the week I had read an article in The Washington Post which indicated that the record breaking warm weather this year ( hello climate change) was forcing the blossoms to open very early, almost 2 weeks earlier than usual. 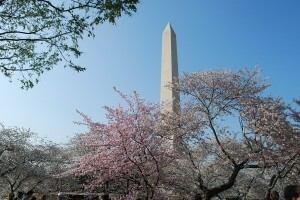 Peak bloom, where at least 70% of the blossoms would be open, was forecast for March 20 – 24th. So on Friday afternoon it was a quick call for a hotel reservation, a dust-off of some sturdy walking shoes, a quick pack-pack and we were ready to set off early on Saturday morning. Somehow, as often happens, but I’m never sure how, although dog feeding, watering and walking has something to do with it, the planned early departure turned into a late 10:30 departure. 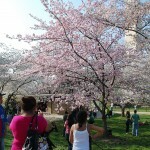 But finally we were on the road, off to the 2012 National Cherry Blossom Festival ! It was a gorgeous day, a perfect day for a drive, the ride over the Chesapeake Bay Bridge offered sparkling blue waters and views of boaters out enjoying the warm and breezy day. Fortunately, D.C. is only a 4 1/2 hour drive from the Eastern Shore of Virginia, made somewhat longer but definitely more fun with a lunch stop at the famous Cheese Shop at Merchant’s Square in Williamsburg, VA for a luscious sandwich of Virginia country ham and cheddar, piled high on a French baguette, slathered with their marvelous house dressing, accompanied by a glass of Williamsburg Winery’s Chardonnay. 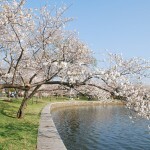 A word about the history of these beautiful cherry trees planted so profusely around the Tidal Basin and the National Mall. 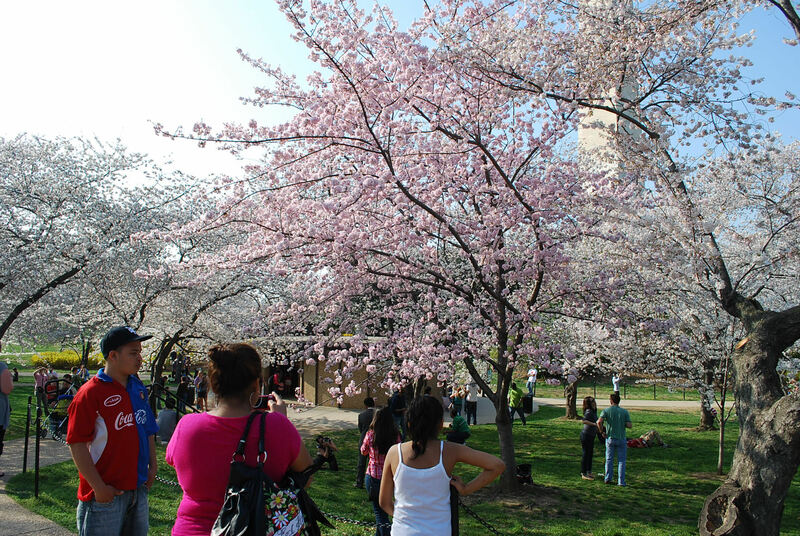 According to Ann McClellan in her excellent book about the Festival, ” The Cherry Blossom Festival Sakura Celebration“, in 1909, First Lady Nellie Taft, who had visited Japan and seen the cherry trees blossom there, became interested in the new parks beautification plan underway in D.C. Mrs. Taft made known to the Superintendent of Public Buildings her interest in seeing Japanese flowering cherry trees planted along the roads from the Tidal Basin to the Park boundaries to create continuous lines of gorgeous spring color. 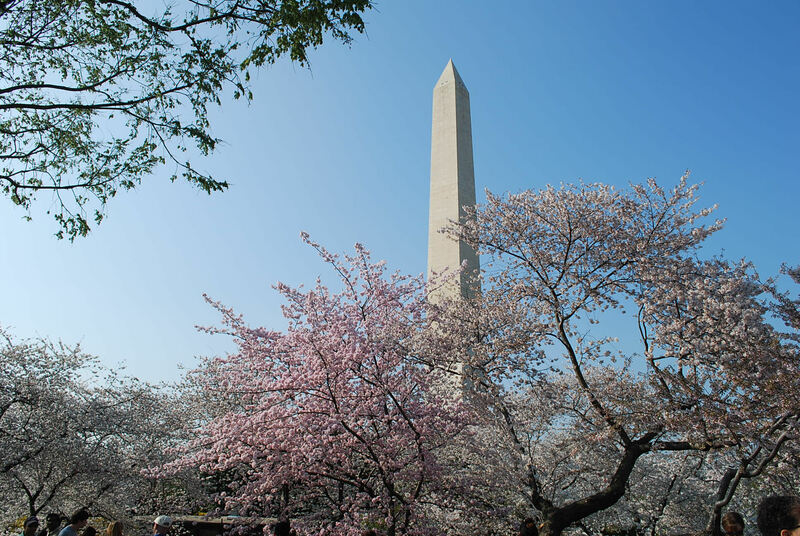 As her interest in the trees became known publicly, as a gesture of friendship in 1909, the city of Tokyo, the capital of Japan, offered to send a gift of 2000 cherry trees to her sister city, the capital of the United States, Washington DC. However, a friend of Mrs. Taft assigned to travel to Japan to help select the trees ignored the advice of Fairchild Nursery ( the nursery was to oversee the transportation of the trees to D.C. from the port in Seattle where they were to arrive) to select very young, small trees. Instead, hoping to get impressive blossoms very quickly, she instead selected mature trees whose roots and limbs had to be severely pruned. This error made it unlikely that the trees would survive once planted. On top of all that, once the trees had arrived in Washington D.C., the U.S. Dept. of Agriculture discovered that many of these mature trees had infections and infestations and it was decided unfortunately necessary to burn them all, creating a diplomatic flurry of apologies and letters. 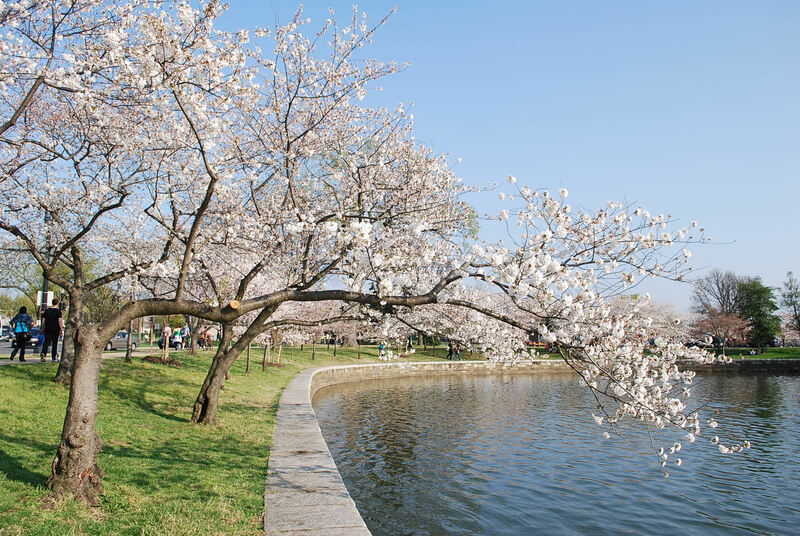 But the city of Tokyo still very much wanted to fulfill its promise to gift these trees and the Imperial Horticultural Experiment Station was selected to create a committee of experts to oversee the propagation of 3000 young cherry trees. By early 1912 these trees were ready for shipment to Washington, arriving in March. 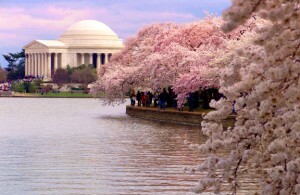 At a special ceremony at the Tidal Basin in March 1912, the Mrs. Taft is said to have planted the very first tree herself. The rest. as they say, is history. 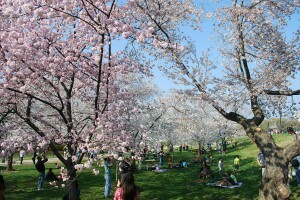 Word of the beauty of the blossoming trees quickly became known, bringing artists, photographers and thousands of ordinary citizens to Washington to photograph, paint and generally celebrate the beautiful blooms, with the first official “Cherry Blossom Festival” celebration taking place in 1935. 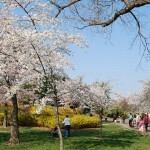 The 2012 Cherry Blossom Festival celebrates the 100th anniversary of the planting of the trees in March, 1912 and in the horticultural world this is an especially exciting year, the Cherry Blossom Centennial. As we gaily drove over the Memorial Bridge, it was clear that the early bloom prognosticators were right, the trees were absolutely glorious, blossoms waving in the breeze, petals floating gently to the ground like pink-tinted pixie dust, their sweet scent perfuming the air. People were everywhere, enjoying this once yearly treat, hand-in-hand, parents, youngsters, oldsters, tweensters, toddlers, lovers, photographers, walking, jogging, snapping photos with cameras, iPhones, Droids, you name it, sitting on the grass, laying on blankets, under the shade of these magnificant trees or in the golden sunlight between them. Spring was in the air, temps were in the mid-70’s and everyone was there to celebrate this truly glorious Spring day, tourists and residents, citizens and foreign visitors, folks with roots from all across the globe, chattering happily in a multitude of languages. English, Spanish, French, Japanese, Russian, German, Italian, you name it, enthusiastic conversations wafted through the air, everyone basking in a beautiful dream world of millions of gorgeous pink blossoms, a world first envisioned by Nellie Taft over one hundred years ago, a vision of a cultural coming together that I imagine the Coca Cola folks could have had in mind in their “Real Thing” ad from the early 1970’s. What could be more relaxing than unwinding at sunset on the deck of your Chesapeake Bay beachfront home, surrounded by rolling dunes and serenaded by the soothing sounds of waves lapping against the shoreline and seabirds calling overhead ? On Virginia’s Eastern Shore, a beach home is all about a sense of fun, of embracing a new way of life, of kicking back, breathing in the tangy salt air, listening to the seabirds call, focusing on the spectacular views donated by Mother Nature ! 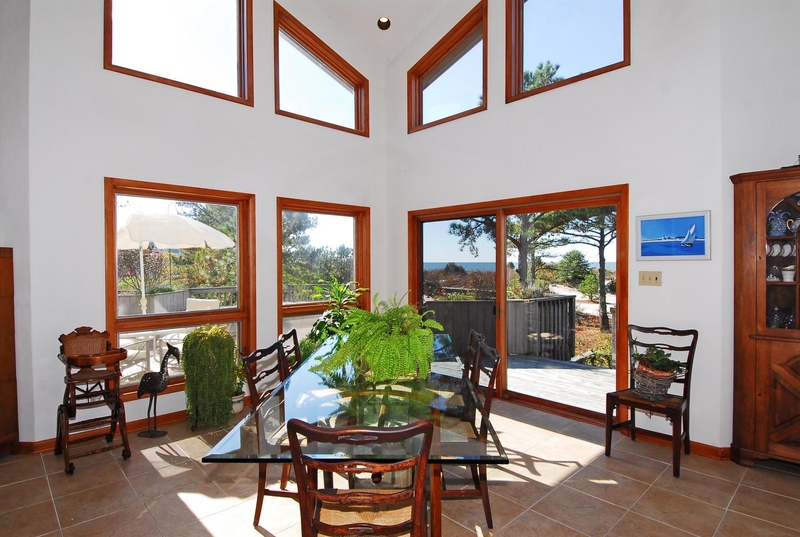 Especially so in this Lindal style cedar beachfront home offering the casual elegance and real livability that turns a mere house into a longed for retreat, one’s very own sand castle. Nestled on about four acres of sparkling sand dunes dotted with sea oats waving in the breezes, gnarled maritime pines and striking yucca plants, this custom 5 bedroom, 4 1/2 bath beachfront beauty is all about immersing in a nature-inspired lifestyle. With over 2200 sq.ft. of balcony and multi-level open decking dedicated to outdoor living, perfect for fresh air entertaining or just basking in the sun, and a huge hot tub beckoning star gazers or moon watchers at night, folks may never want to come inside ! But when they do finally decide come inside, what dramatic beauty awaits. 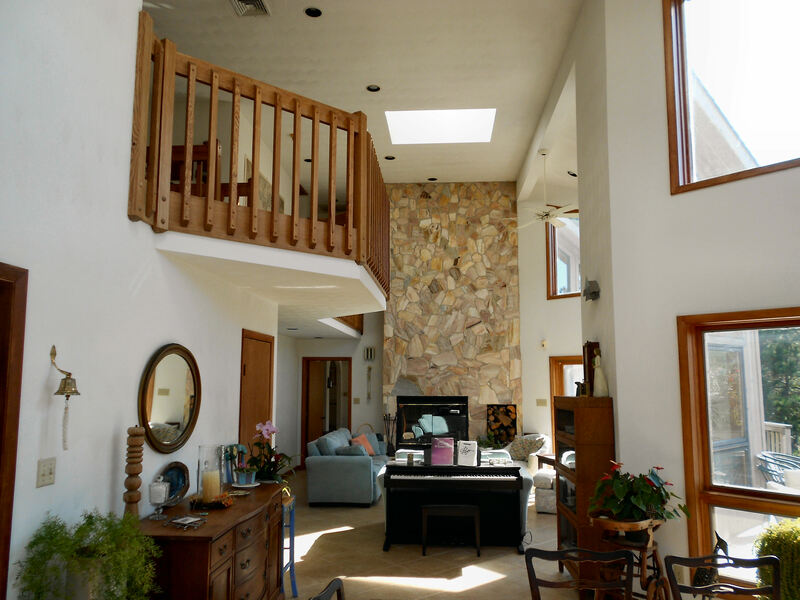 Soaring cathedral ceilings, walls of windows, an open and flowing floorplan. 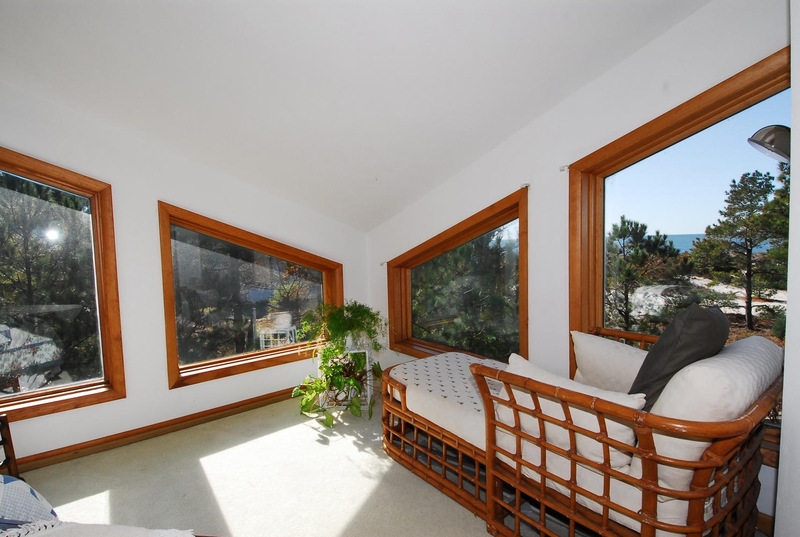 With the home’s east-west orientation, it’s easy to follow the sun all day. From the soft light in the breakfast room at sunrise to mint juleps in the great room at sunset glow, this home is light filled and airy. The large great room focal point is a towering two story floor- to- ceiling fireplace and massive hearth constructed of custom selected stone in eye-pleasing rose and grey hues. The architectural design on the waterside consists of three “prows” , each of which creates a feel of a particular living space yet essentially it is one large light-filled open living space, a “great room” in every sense of the word, with a sitting- conversation area at one end and a dining area at the other. An abundance of windows on each wall of the prows and sliding glass doors leading to the decks bring the outdoors inside, the golden sunshine, the dazzling views of blue Chesapeake Bay waters, the sparkling sand beach and the glorious skies at sunset, sun slipping below the horizon, painting the water in vibrant hues of reds and golds. 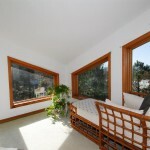 A large master suite carries on the theme of high ceilings and beautiful windows and also includes doors to the deck . 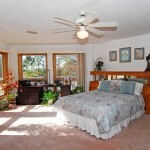 Guest bedrooms are upstairs, with a central guest sitting area, individual balconies and great waterviews as well. Beautiful library/music room/den off the great room, a cozy space for curling up with a good book, soft music in the background. 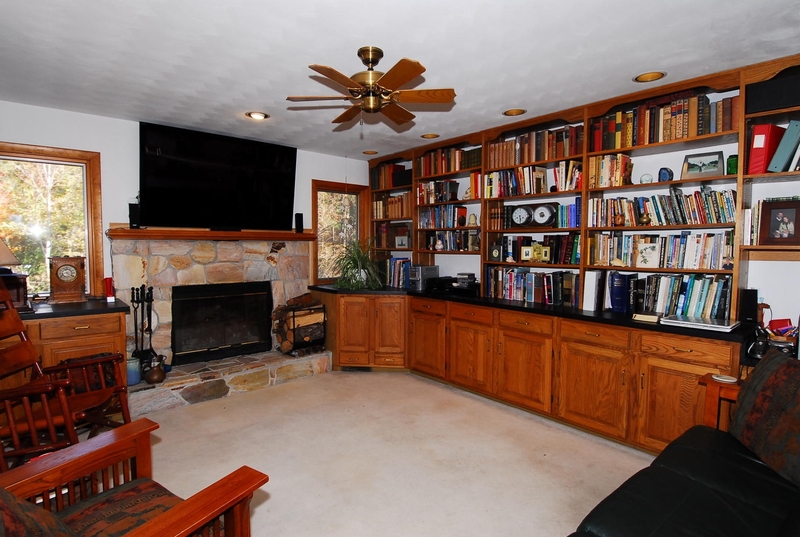 Downstairs, a full walk-out basement with it’s own patio and outdoor shower, a library area, media room & pool room, extra storage for bikes, kayaks, fishing gear and other essential toys, etc., etc. Truly, this is a beach home that doesn’t just look like a beachfront home, it’s a beach home where you really feel the sense of sand and blue waters everywhere, an inspiration inside as well as outside ! 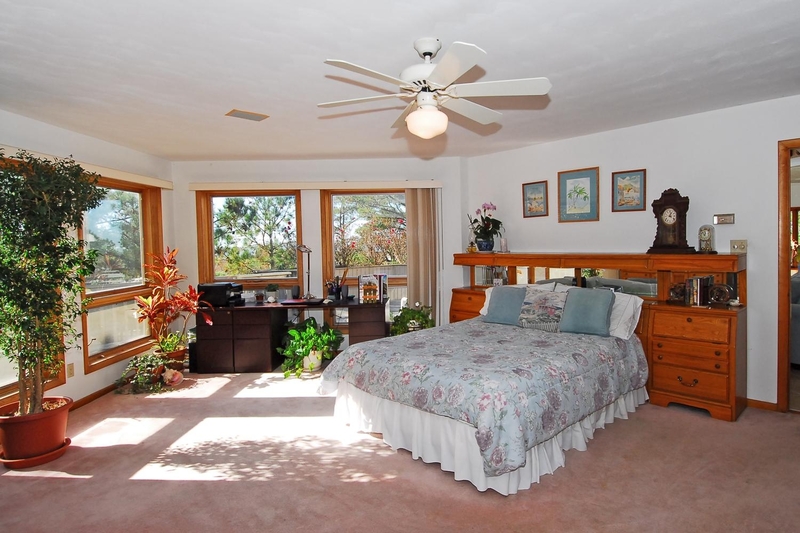 Located in a tiny beach neighborhood offering private pool and tennis club for residents. 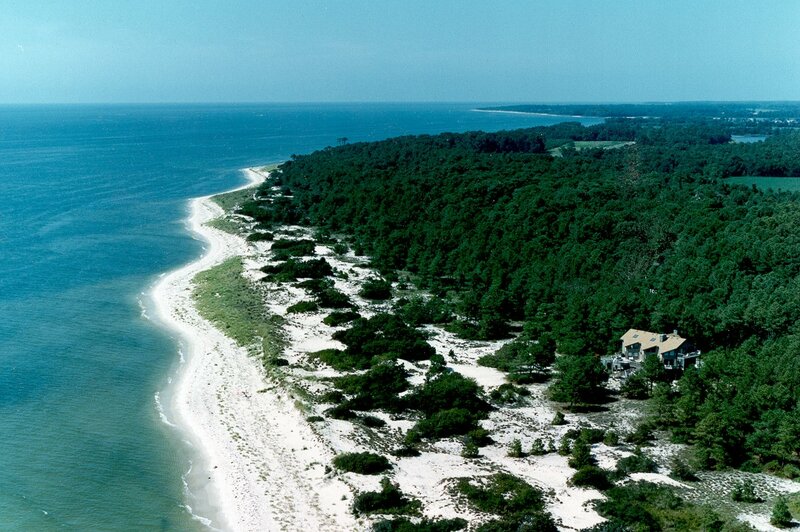 Only 10 minutes from the historic little waterfront town of Cape Charles, VA offering a wide variety of amenites including shops, restaurants, art galleries, theatre, cultural events, Palmer and Nicklaus signature golf courses and two deep water marinas. Atttractively priced at $1,595,000. For more information and photos on this property, visit www.blueheronva.com and click on beachfront under the “listings” menu on the top navigation bar. Well, it’s rolling around again- another St. Paddy’s Day celebration coming up. Although my ancestors were primarily Norwegian and German, I really love Irish music and dancing. And definitely enjoy some of the traditional Irish foods. Fortunately, some authentic Irish food is served here on the Eastern Shore of Virginia. When I was a girl, about 100 years ago, my parents sometimes watched the Lawrence Welk show on Saturday evenings. I would never have admitted it to my friends, it would have been soooo not cool, but I loved his Irish tenor, Joe Feeny, who would often sing beautiful Irish songs. Joe could really hit those high notes ! My favorite was his rendition of “Danny Boy“, which I hoped might find on YouTube, but no such luck. So I’ll have to settle for Feeny’s performance of Galway Bay as my official 2012 St. Patrick’s Day song. Now that the music has been designated, time to decide where to enjoy an authentic Irish dinner. Fortunately, Virginia’s Eastern Shore has at least four excellent restaurant choices that I know of, scattered geographically from Cape Charles VA to Onancock, VA to partake of foods traditional to the Emerald Isle. The ESO Art’s Center in Belle Haven is sponsoring ” A St. Patrick’s Day Celebration”. Located at 15293 King Street, Belle Haven. Call for reservations 757-442-3226. A traditional corned beef and cabbage dinner will be served starting at 6pm. Starting at 7:30 pm, the Celtic Band, the Leigheas, will be playing live Irish music. www.esoartscenter.org Should be loads of fun for all ages ! GO N-EIRI AN T-ADH ! 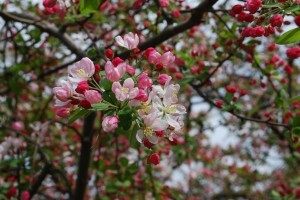 You are currently browsing the Life and Real Estate on the Eastern Shore of Virginia blog archives for March, 2012.